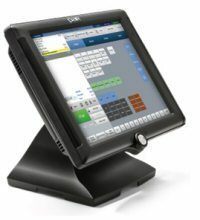 The 2000 is the affordable POS hardware solution with the smallest footprint in the ParTech portfolio. The 2000′s fan-less design is quiet and offers low power consumption and minimal maintenance. Its small footprint is ideal for installations where space is at a premium. The design offers a spill resistant, high-impact enclosure that is built to withstand tough restaurant and retail conditions with continuous operation. Retail Tech, Inc. is an authorized Par reseller. We can provide new or high-quality used systems, as well as parts, printers and repair service. All parts and repairs backed by Par or Retail Tech warranty.